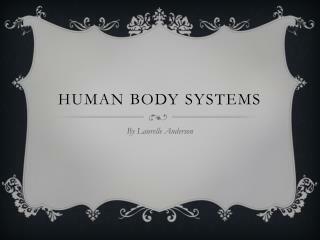 Enables us to know what our body parts are doing. 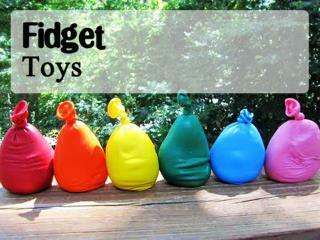 Hairs – stretches, bends, flattens nearby nerve endings. 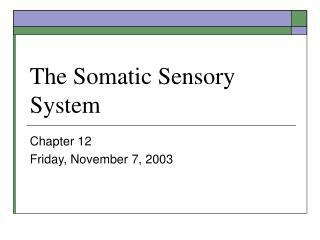 Whether a stimulus feels like one sensation or two distinct sensations depends on the size of the receptive fields of the sensory receptors. 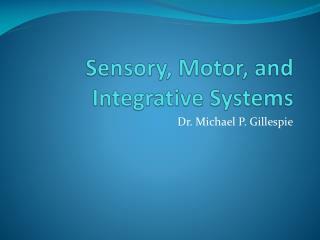 Different areas of the body have sensory receptors with different sized receptive fields. 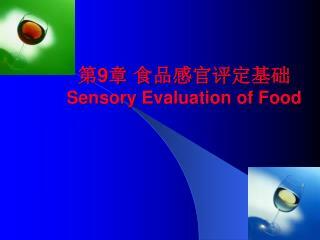 Smaller receptive fields result in greater sensitivity. Fingers are more sensitive than backs. 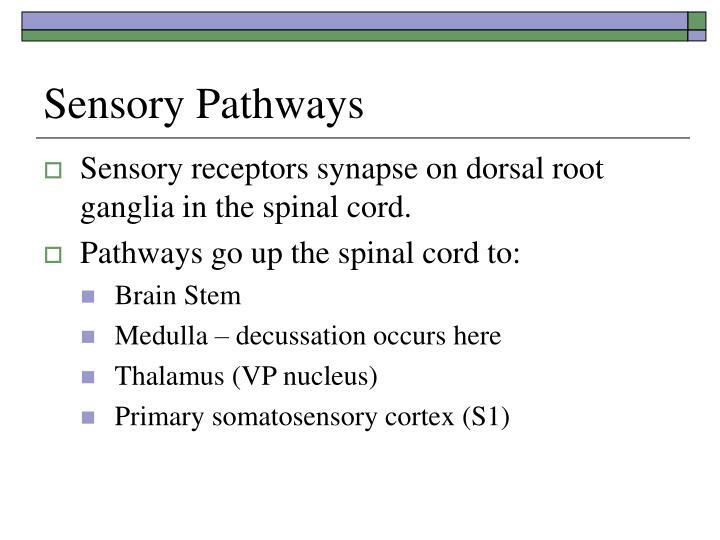 Sensory receptors synapse on dorsal root ganglia in the spinal cord. 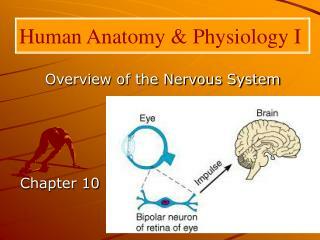 Different types of sensory information is carried by axons of different diameters. 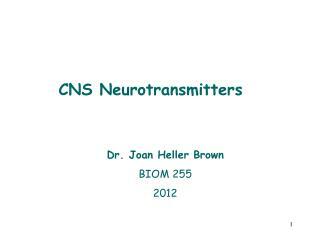 Sensory nerves from muscles have largest axons and send fastest messages. 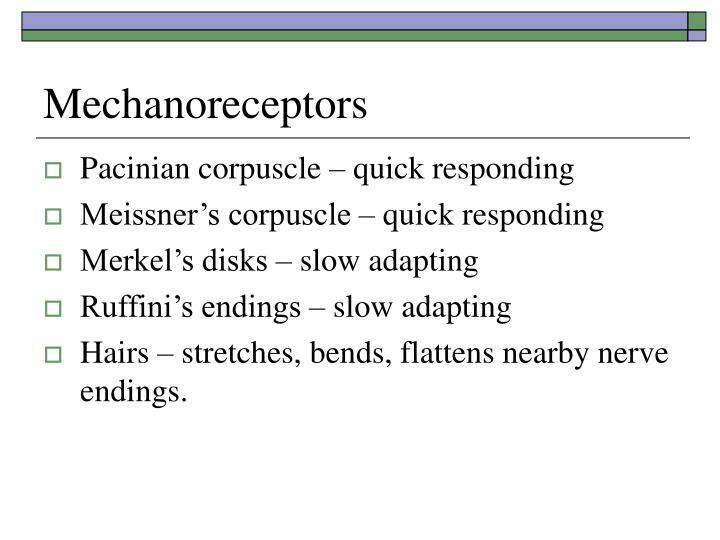 Mechanoreceptors of the skin are second fastest and have medium-large axon diameters. 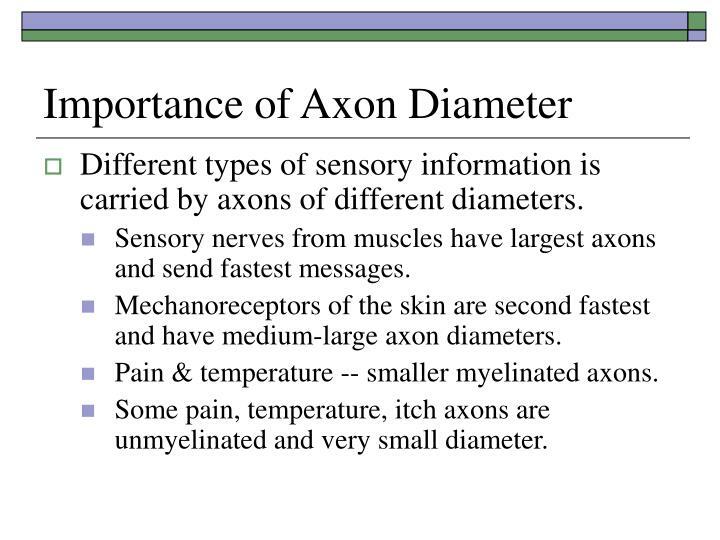 Pain & temperature -- smaller myelinated axons. 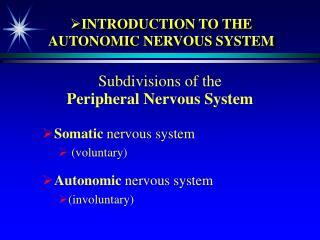 Some pain, temperature, itch axons are unmyelinated and very small diameter. 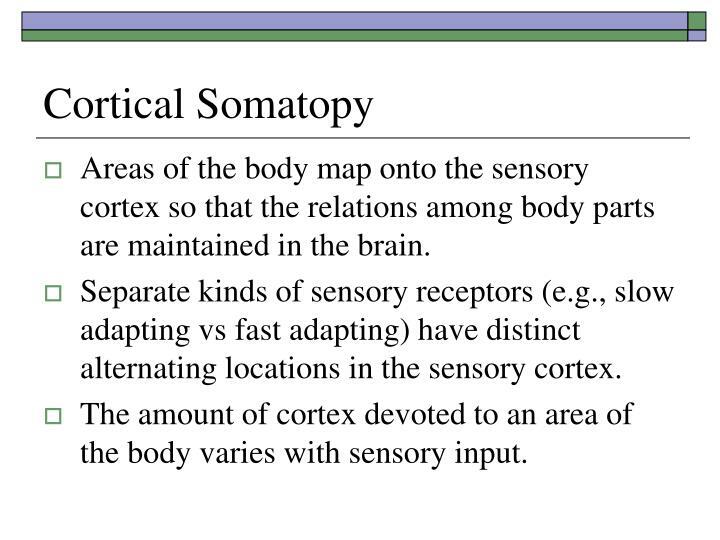 Areas of the body map onto the sensory cortex so that the relations among body parts are maintained in the brain. 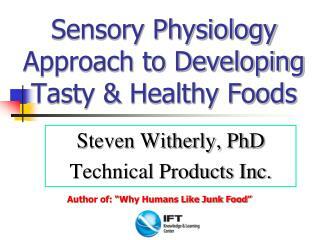 Separate kinds of sensory receptors (e.g., slow adapting vs fast adapting) have distinct alternating locations in the sensory cortex. 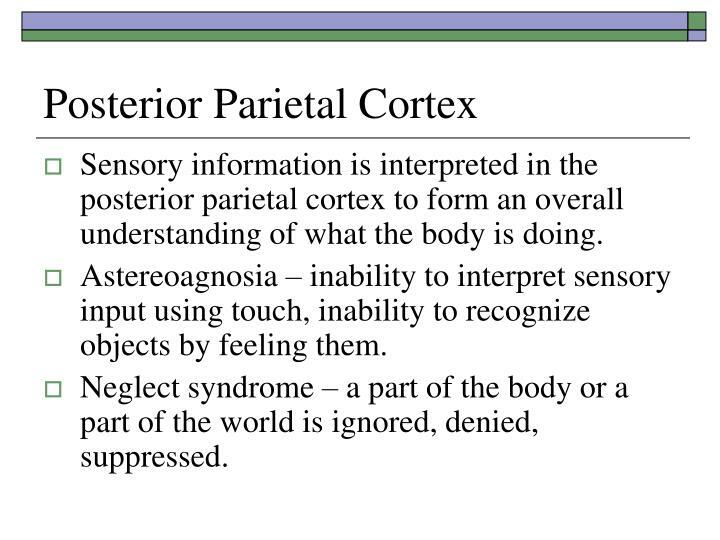 The amount of cortex devoted to an area of the body varies with sensory input. 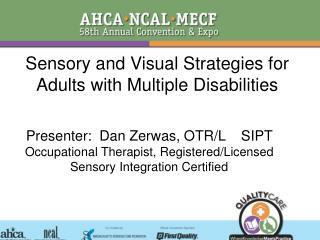 With changes in sensory experience, areas of the sensory cortex can change their mappings. 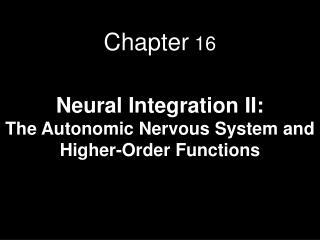 When a limb is lost, the area of the brain dedicated to that limb’s sensations is taken over by other parts of the body. 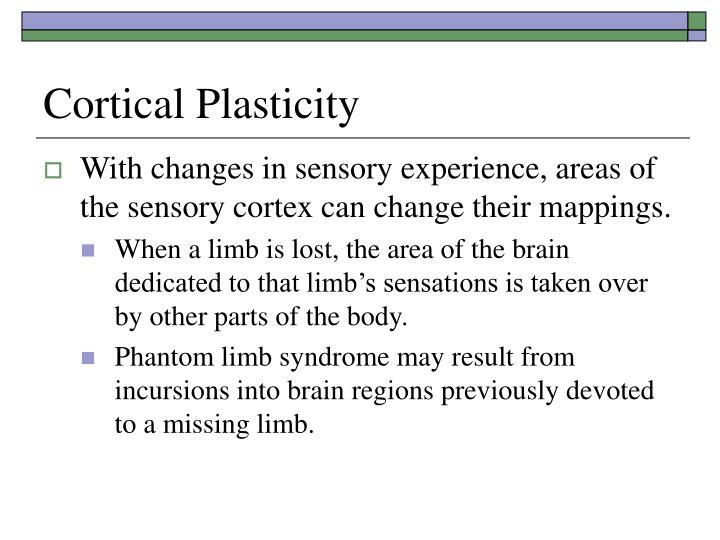 Phantom limb syndrome may result from incursions into brain regions previously devoted to a missing limb. 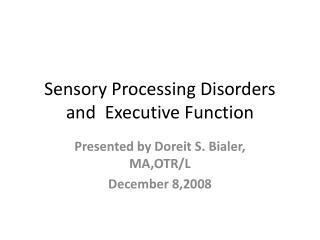 Sensory information is interpreted in the posterior parietal cortex to form an overall understanding of what the body is doing. 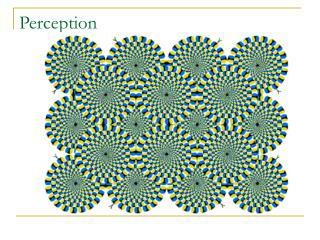 Astereoagnosia – inability to interpret sensory input using touch, inability to recognize objects by feeling them. Neglect syndrome – a part of the body or a part of the world is ignored, denied, suppressed. 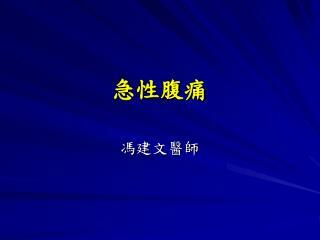 Detect harmful stimuli that cause a risk of damage to the body. 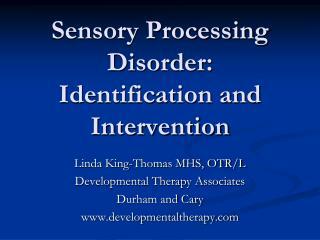 Pain is the feeling associated with the sensory process. 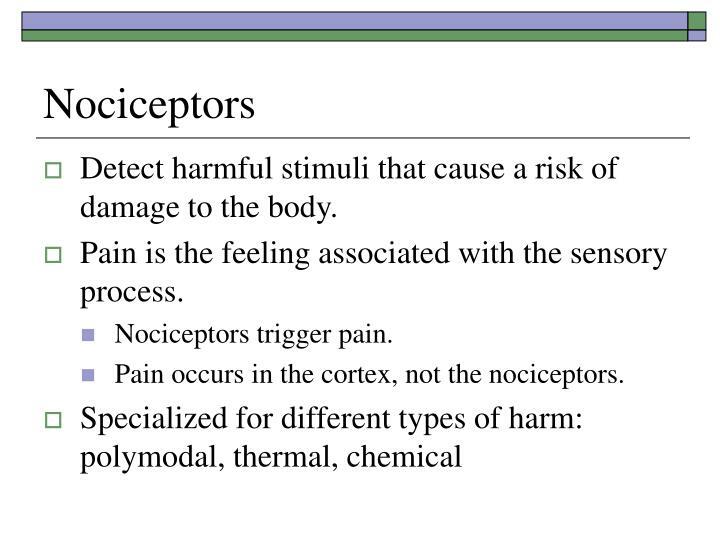 Pain occurs in the cortex, not the nociceptors. 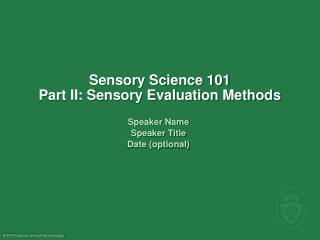 Already damaged areas show an increased sensitivity to stimulation of sensory receptors. 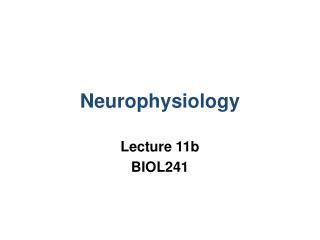 Substances released when the skin is damaged appear to modulate the excitability of nociceptors. 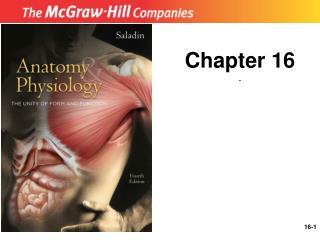 Prostaglandin – aspirin reduces it. 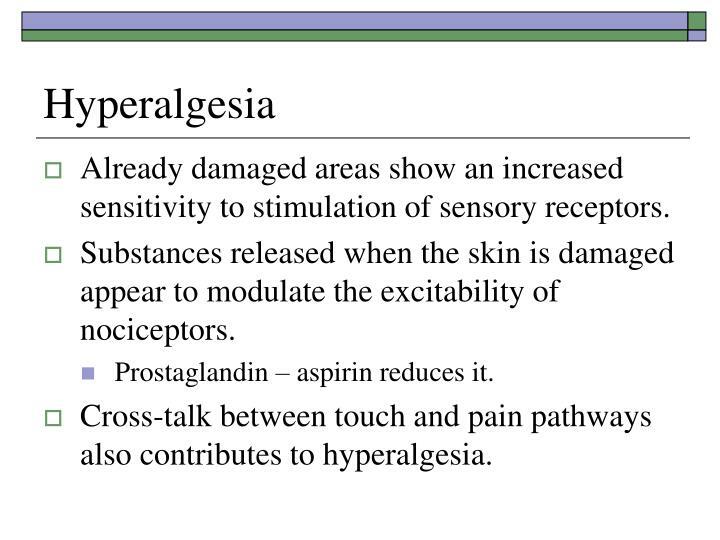 Cross-talk between touch and pain pathways also contributes to hyperalgesia. 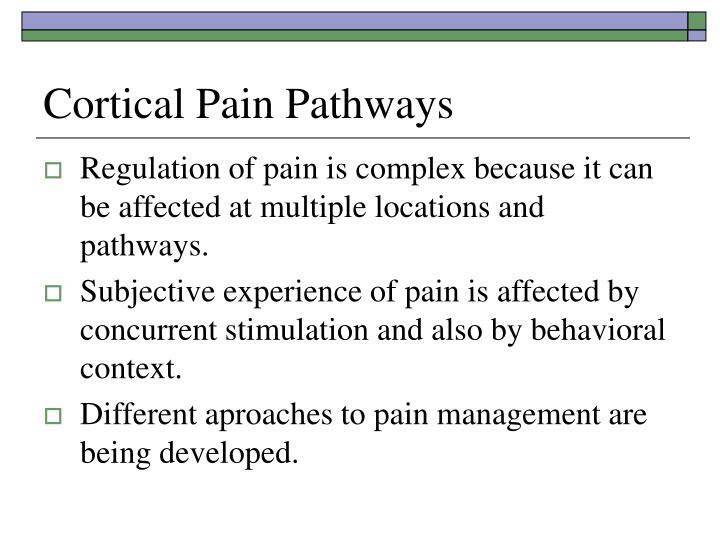 Regulation of pain is complex because it can be affected at multiple locations and pathways. 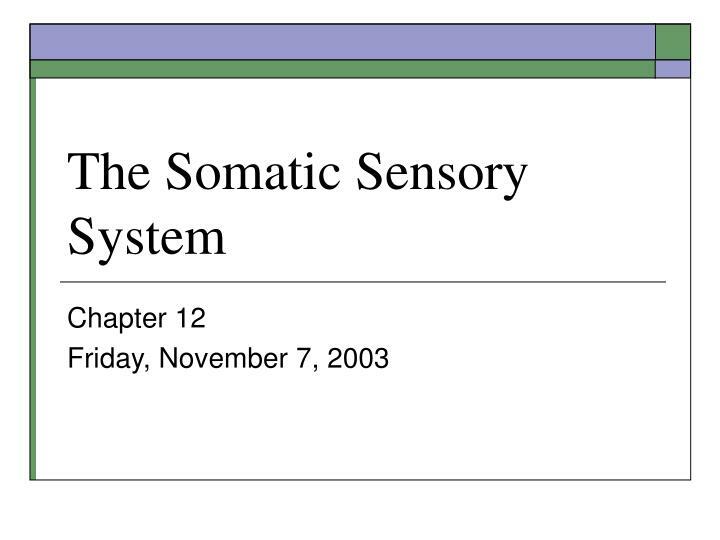 Subjective experience of pain is affected by concurrent stimulation and also by behavioral context. 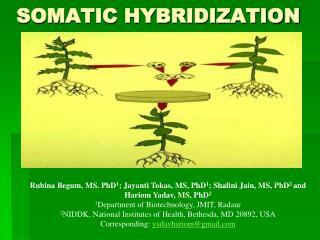 Different aproaches to pain management are being developed. 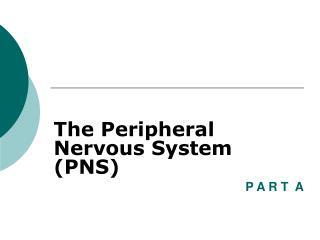 Simultaneous activity of low-threshold mechanoreceptors reduces pain. Rubbing the area around an injury. 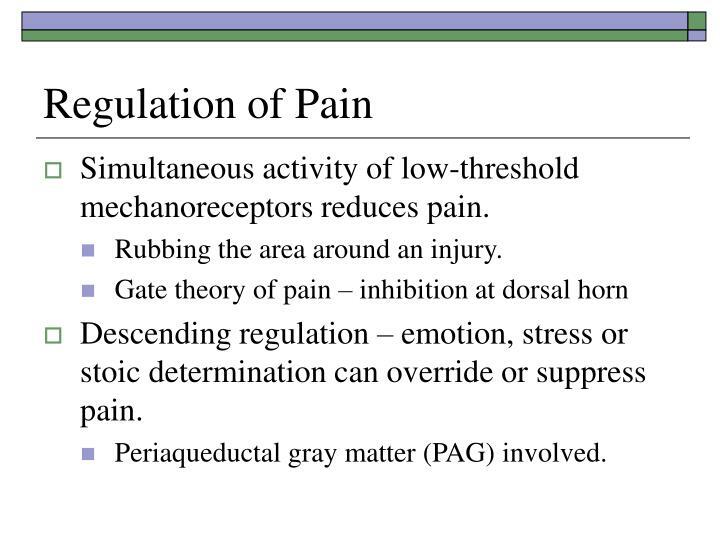 Descending regulation – emotion, stress or stoic determination can override or suppress pain. 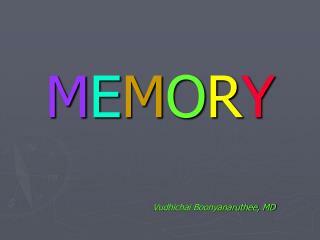 Periaqueductal gray matter (PAG) involved. 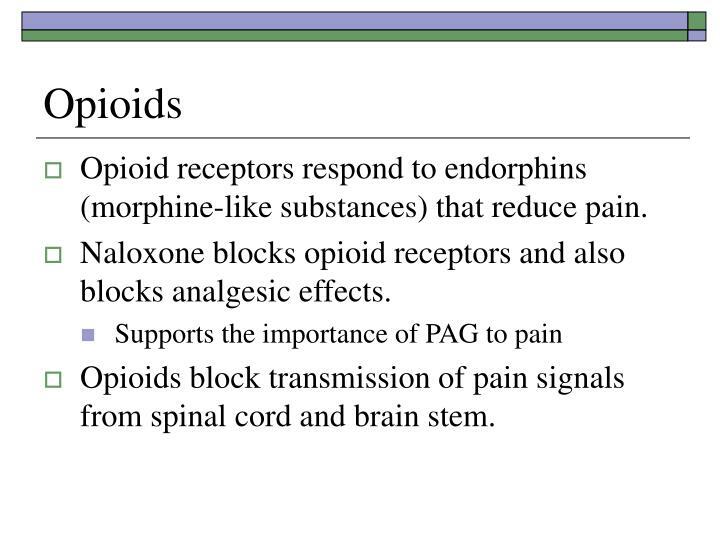 Opioid receptors respond to endorphins (morphine-like substances) that reduce pain. Naloxone blocks opioid receptors and also blocks analgesic effects. 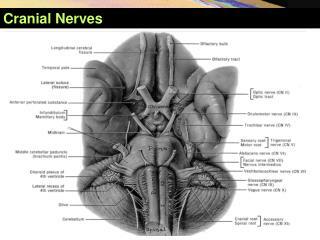 Opioids block transmission of pain signals from spinal cord and brain stem. Warm receptors detect temperatures within the higher safe range. 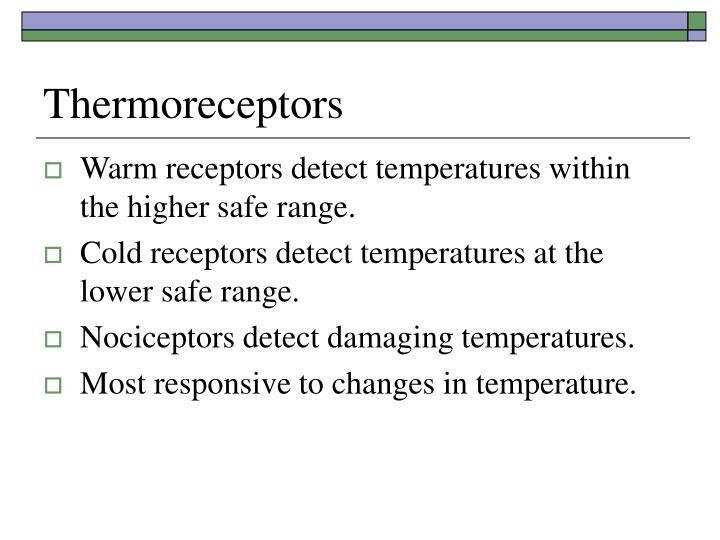 Cold receptors detect temperatures at the lower safe range. 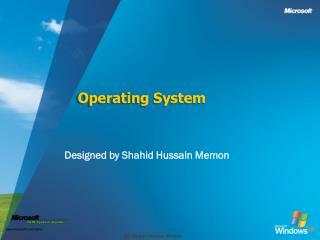 Most responsive to changes in temperature.